Mashile was born in Bushbuckridge, Mpumalanga. He studied at the Johannesburg Art Foundation in 2004 and obtained his BA (Fine Arts) in 1999 from the University of the Witwatersrand. He currently lives and works in Johannesburg. Customs such as the ritual of circumcision (which both he and his wife have undergone) informed Mashile’s earliest work as he sought refuge and healing through art. His work is infused with the natural and mystical elements that have become part of his environment where he can “feel and experience my Africanness, let emotions come through and discover the truth about myself”. 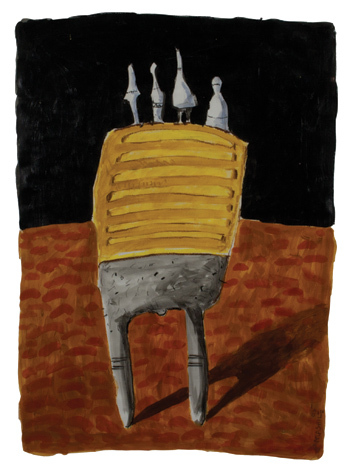 Mashile has an uncanny ability to tune into universal psychological archetypes in his work. These images are completely based in his African identity and yet they link up with the universal.